Boasting one of most iconic designs in American coinage history, the Morgan Dollar Sunshine 1 oz Silver round is the ideal addition to your portfolio. This 1 oz. 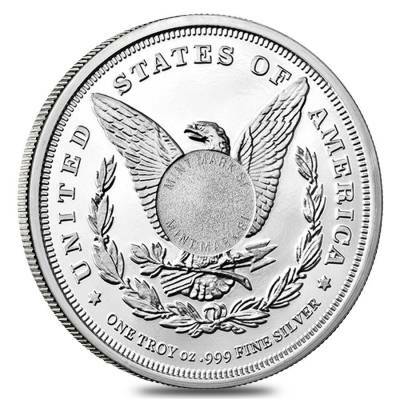 Silver Round is composed of 1 Troy oz. 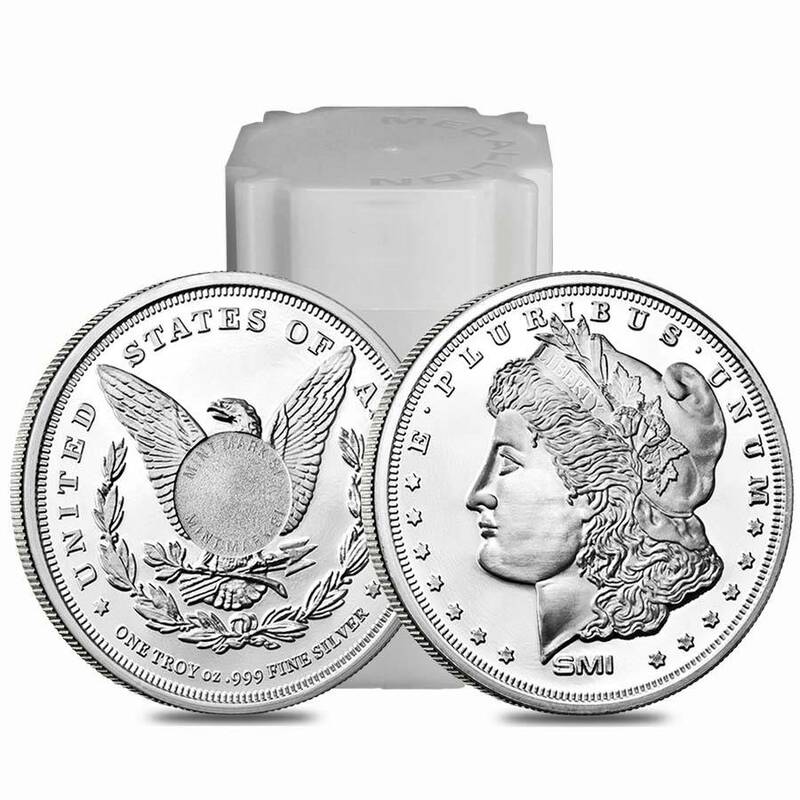 of .999 Fine Silver and has been uniquely mint marked using SI technology. This feature allows the buyer to verify the origin of the round and .999 fine Silver purity using a decoder lens. Sunshine Minting, Inc., is a privately held company based in Coeur d'Alene, Idaho, that processes silver, gold, and other precious metals. 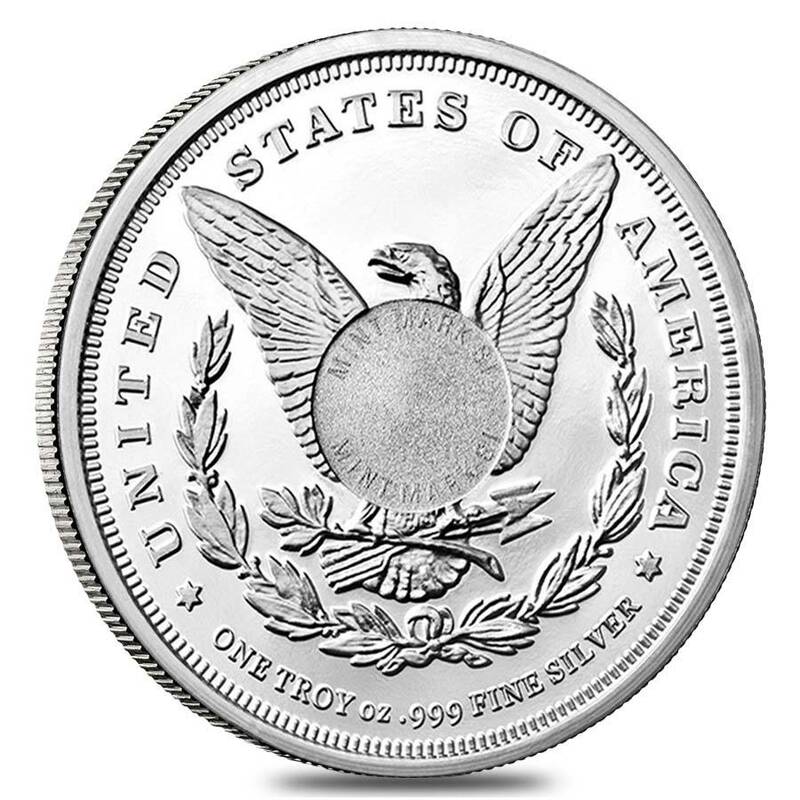 The company was established in 1979 and is known for its role as a supplier of silver planchets to the United States Mint and as the manufacturer of the private Liberty Dollar coins. The obverse of this round captures George T. Morgan's original design in superb detail. Lady Liberty wears a Phrygian cap with LIBERTY emblazoned across the headband. She wears a cockade of corn and cotton, the two main crops of America in the 19th century. 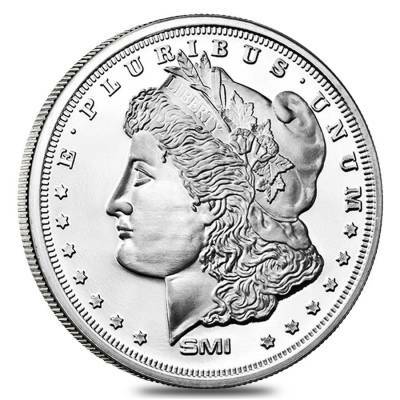 The inscription of E PLURIBUS UNUM arcs the top of the coin. A heraldic eagle in a wreath of laurel clutching arrows and an olive branch is centered on the reverse. 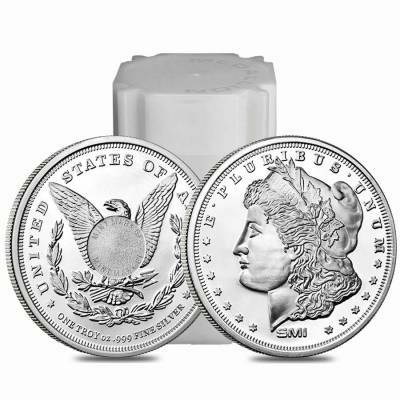 ONE TROY oz .999 FINE SILVER and UNITED STATES OF AMERICA are inscribed, along with the MintMark SI feature. Single rounds are packaged in coin flips, and multiples of 20 will come in sealed plastic tubes. These Silver rounds are the perfect blend of collectible beauty and investment appeal. 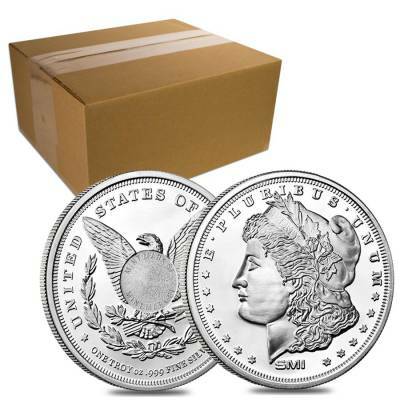 As with all of our silver products, Bullion Exchanges guarantees this round to be 100% authentic. First time I've ordered from Bullion Exchanges and I'm very happy. 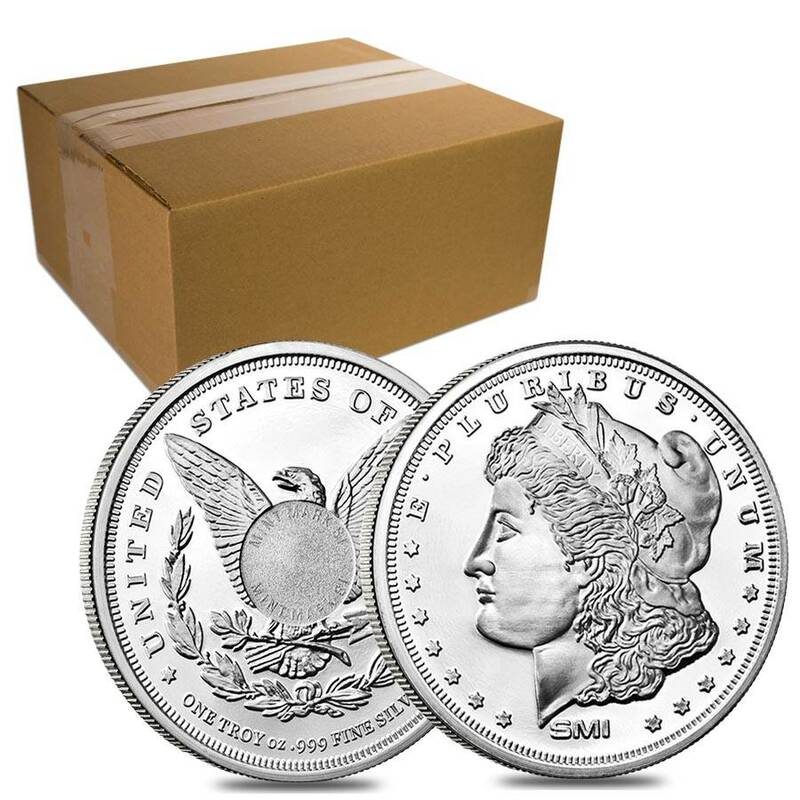 My Morgan Dollar Round came in excellent packaging and in just two days. Thanks so much!